Some people thought I was crazy! I mean really, Disney with a 5 month old?! That was the first time we took ‘the princess’ to Magic Kingdom. Surprisingly, it was one of the most fun trips I have ever taken! 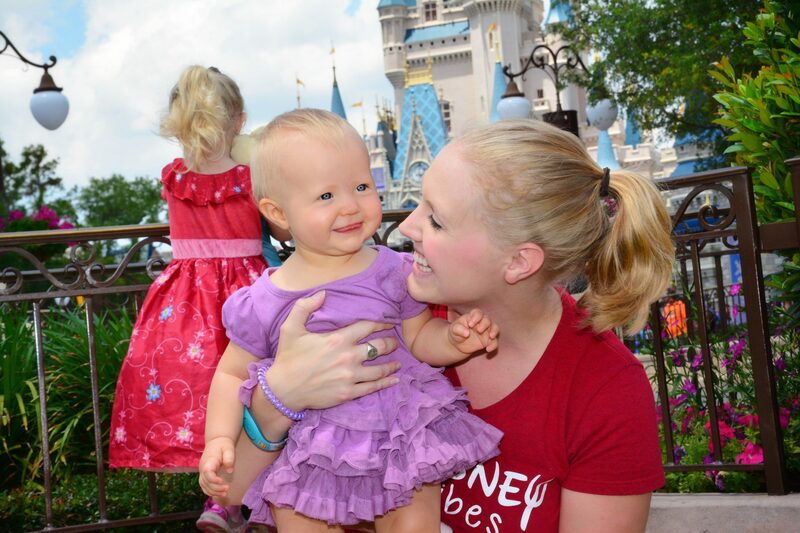 Here are 5 reasons YOU should take your baby to Disney World. Check out my reviews of Baby Care Centers for: Epcot, Animal Kingdom and Hollywood Studios. Disney has gone to great lengths to ensure the park is baby friendly. Each park has it’s own ‘Baby Care Center’ which provides moms with a clean, air conditioned area to relax and take care of their little ones. While the size and amenities vary from park to park, all baby centers have a private restroom, changing tables (nice big ones! ), a private nursing area, sink/microwave and a small waiting area for other family members or little ones. It’s not always convenient to stop in a Baby Center every time your baby needs a diaper change, but it is worth stopping by at least once per day! There are very few rides that baby guests can’t enjoy! Any ride that has a height minimum (i.e. Space Mountain, Thunder Mountain, Tower of Terror, etc). Not that you would want to take your baby on anything that has sudden drops or fast motion 😉 I was so pleasantly surprised at how many rides I could take ‘the princess’ on. It made our trip so much fun to ride together as a family and is was so neat to see her reactions. For the rides she couldn’t go on, we were able to take advantage of Rider Switch and Fast Pass too. What better place to introduce new sights, sounds and smells than Disney! Our little one stares in awe at Cinderella’s castle, smiles when she meets characters and laughs on rides (her favorite is Dumbo). It is so much fun to see her expressions and watch her learn and soak up the world around her, and to experience that AT DISNEY could not be more magical! Disney is magical, no matter how young or old. Some may argue that a “baby can’t even remember going to Disney” but neither can a 6 year old! Most children won’t really remember a trip to Disney, but the younger they are the more imaginative and likely they are to believe in the wonder and magic that a Disney experience creates. Capture all the little looks, laughs, smiles and awes to look back on and remember. Whether through PhotoPass (which we HIGHLY recommend) or through your own photos, videos or writings. Disney moments are the ones you’ll want to look back and relive again and again! Children under 3 do not need a park ticket to enjoy Disney World. What better reason to go?! 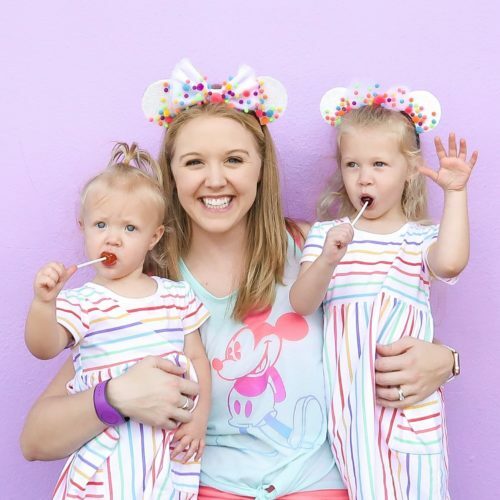 Have you been to Disney with a baby? What was your experience like? We’d love to hear in the comments below!